An epiphany is a sudden, intuitive perception of, or insight into the meaning of something, usually initiated by a commonplace occurrence or experience. It seems to me that the Apostle Paul always traveled with companions, with one exception. We find him with Barnabas on his first journey. Silas is his traveling companion on his second journey. Then there is Luke, Timothy, Titus, Demas, and others at various times. The only time I remember him tackling a city alone is when he scaled the heights of Athens. For whatever reason, he went there alone. I present for your consideration this possibility: had Paul reached the place he felt he could handle it? Had his successes puffed him up to the point he felt, “I got this one boys”? Did he feel confident in his education and past success? It seems to me this was out of his modus operandi. I cannot find any other place where he went one on one solo on a city. I wonder if he had gotten confident in himself? One thing is sure, Athens handed Paul his “head in his hand” so to speak. He left Athens broken and defeated and discouraged. Somewhere in the next 50 miles of road toward Corinth, his Athens experience changed him forever. At his next location he is first of all surrounded with the greatest collection of names mentioned in his lifetime. Second he has his greatest revival in the history of the world. Is this a coincidence? I offer for your consideration Paul had an epiphany at Athens! He realized my success has not been in my ability, but in God. My education is laughable when placed next to God’s wisdom! My education may trump some earthly peers, but compared to God, I know nothing. Paul the man, with only his ability, against Athens equals abject failure. Paul in humility with help from brethren, at Corinth equals world’s greatest revival! It was after this epiphany at Athens that he wrote “Because the foolishness of God is wiser than men; and the weakness of God is stronger than men”. Paul learned the most important lesson of his ministry at Athens! He learned by myself I can do nothing. Through Christ I can do all things! May God help all of us in 2014 to use his lesson so we avoid enduring the same fate when we believe “I got this one”. Oft times I have wondered about certain books of the Bible. I have thought, what if we did not have this book in our Bible? How would that affect the whole? When I place the book of Acts on that pedestal, and consider, I am certain of the answer. Only Acts and Genesis seem to hold the place of absolute. Without them we simply could not survive. They are both irreplaceable. The book of Acts was written by Luke. Luke is the only Gentile writer in the Bible. It is interesting to me that Luke is responsible for 25% of the New Testament. His two books equal one fourth of the volume of the New Testament. I am not positive, but it appears to me that Luke wrote at the bequest of a wealthy patron named Theopholis. His two books address this individual. This was a common practice that carried well into the middle ages. 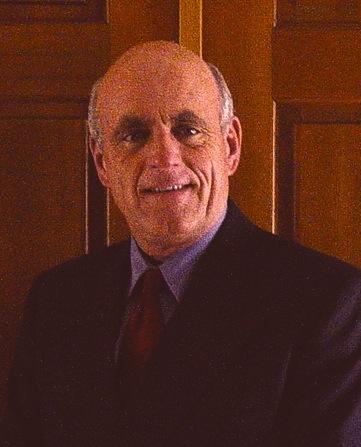 A wealthy patron would sponsor someone to write a book or thesis. This is how men like Voltaire and Rousseau were supported financially. To me, Acts is about three men. Those men are Simon (Peter), Saul (Paul), and Stephen. The book is evenly devoted to the ministry of Peter and Paul with Stephen being the bridge from one to the other. The contrast of these two men is stark. Peter is a country fisherman. Paul is a polished cosmopolitan. Peter was ignorant and unlearned. Paul was a trained rabbi, having studied at the feet of Gamaliel. Peter spoke Aramaic, the common language. Paul could speak that language, as well as Greek. Peter was a country Jew, Paul was a Hellenistic Jew and a Roman Citizen. The first twelve chapters of Acts are about Peter. In chapter 13 the spotlight shifts to Paul and never moves back to Peter again. Peter, the great apostle fades from view in Acts. How important is Acts as a book? It is irreplaceable! 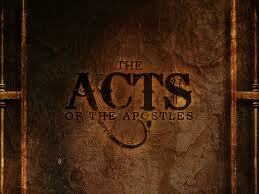 Without the book of Acts we would go from the Gospels to Romans. We would wonder who is Paul? What is the church? How did it start? Acts is the link to all of the New Testament. Acts begins with the ascension of Jesus. It moves on to choosing Judas’ replacement. It then tells of Pentecost, the beginning of the church, and eventually documents the church’s emigration to the Roman Empire. Christianity conquered the Roman Empire, period. The Roman Empire paved roads, established peace and continuity, and through this open door walked the church. The church flourished during the Pax Romana, the empire wide peace. Within 300 years 10% of the Roman Empire was Christian. The book of Acts documents the beginning of this conquest of the church. It is simply amazing that in 47AD there were no churches in Asia Minor. In ten years there was a ring of churches that included every major city in Galatia, Macedonia, Asia and Acacia. This remarkable achievement has never been repeated anywhere globally. On his first journey, when he gains his first convert, the Apostle Paul jettisons his Hebrew name Saul, and forever becomes know as Paul. He was the Apostle to the Gentiles and he bore his Gentile name to his death. Luke is a gentile, writing a book about the gentile revival by the Apostle to the gentiles. This fact shows up in the book repeatedly. It is very clear in the story of the appointment of the deacons. When the division came and the controversy showed itself, out of the seven men chosen, 5 were Greeks according to their names. Luke makes this point, or rather the Holy Ghost does. The final chapters of the book of Acts are concerning Paul’s last days. I am left with one of the biggest questions of my life as to why the book ends so inconclusively. With the Holy Ghost inspiring the man called Luke, why no closure? My only hypothesis is that the book is still being written in heaven. Maybe the final words were something like “to be continued”. What chapter will you write to add to the book of Acts? The third Gospel is the only one written by a gentile. Luke also wrote the book of Acts. His two works comprise 25% of the New Testament. Luke was a doctor. The flavor of the man always comes out in his writings. In Luke we see more conversation about women, gentiles, and the social outcasts. When a beggar lays at the gate of the rich man, Luke says he was full of sores. Matthew would have said he was broke. Matthew’s perspective as a tax collector was his financial status, while Luke had the perspective of a doctor. Luke’s gospel is written to the Greek, or Gentile world. He uses Mark as his time line and repeats somewhere around 50% (320 of 661 verses), of the same material Mark provides. Because he is writing to the Gentile world he begins his genealogy at Adam. Matthew goes back to Abraham, Mark bypasses the genealogy, and Luke goes back to the first man Adam. John, who writes to the church, reaches back to the misty darkness of eternity. It appears to me that Luke took the time to interview the people of the early church. He states that his book is from the beginning and that he had perfect understanding of it all. When you read of Jesus’ birth in Luke’s account, you find some tidbits of information no one else includes. One example would be the details of Mary’s song and inner thoughts and feelings. That causes me to think Luke must have sat down with Mary and spent time talking to her. I can envision him sitting quietly many years later, at the end of her life, recording her words as she softly speaks of those bygone years. As she wistfully remembers, he dutifully records. Not only does he provide information about people’s feelings and inner thoughts, he also documents his writings with names, offices and titles of over 50 people. This gives his work a credibility the other gospel writers do not have to the world of scholars. One example of his documentation is the introduction of John the Baptist in chapter 3. Luke places 7 men in the scripture for historical evidence. He mentions an emperor, a governor, three tetrarchs, and two high priests. These are the kind of things that give Luke credibility with the world of scholars. This also gives further credibility by association to the other Gospels who give the same information. For this alone Luke is invaluable. Another contribution of his is the writing of parables spoken by Jesus. He records 18 parables not recorded anywhere else. We are indebted to him for the famous parable of the good Samaritan, the prodigal son, and many others. I am going to go out on a limb here and state my opinion for what it is worth. I know that Luke traveled with Paul. I am somewhat sure he joined Paul on one of his missionary journeys, because the text of Acts changes from they, to the first person of I and we. So my thought is that somewhere Luke sat and listened to Paul tell his insight into the life of Jesus. My best guess would be this occurred while Paul was being held at Caesarea. Just like when he started his book by making the journey to see Mary, I can see Luke taking notes at the feet of Paul and then the Holy spirit washing them though the man Luke with his training, his education, and his perspective. From out of that flowed the gospel of Luke. The gospel written to the Greeks adopts the Greek idea of the perfect man. The Greeks created their Gods by deifying man into a God. Luke very ably and perfectly adopts their premise and presents them with the perfect man, who was indeed God, Jesus Christ the savior of the world. My last blog was about Matthew, today is Mark. I will post Luke and John next. Four books that the Holy Ghost approved out of the 200 gospels written about Jesus. Mark’s gospel was the first gospel written in 50 AD. It was written to the Roman world. It came at a very critical time! The Caesars were killing the Christians in Rome and there was fear and consternation across the empire. Nero was on a rampage! The need was for direction. And the need was now! So we have the Gospel of Mark. It is the shortest Gospel because time was of the essence. It is the fastest paced Gospel. It uses hurry up adverbs 42 times. Words like immediately, and straightway are the norm. I am convinced Mark’s Gospel was dictated by Simon Peter. This was a commonly held belief well into the second century. Papias says this in AD 60-150. Papias call Mark Peter’s interpreter. Probably Peter spoke in Aramic and Mark translated into Greek. Finally, Peter calls Mark his “son”, 1 Peter 5.13. Mark is the timeline that Matthew and Luke work off of. 90% of his gospel is found in Matthew and Luke. He is fast. He has three miracles in the first chapter. The other writers wait until chapter three before introducing a miracle. Because it is to the Roman world, Mark quotes the Old Testament only one time. He ignores the Mosaic law, then explains the Jewish laws and the passover. Once again, time was pressing them to get this message into the hands of suffering Christians. It is the shortest gospel, and is proclaimed by an eyewitness, so hence the nod goes to Peter. Matthew repeats over 90% of Mark in his gospel and Luke repeats over 53%,(330 out of 660 verses). It is interesting to me that Mark does not mention anything about Jesus before Jesus’ baptism. No birth, no early years, or any other information. Also, Mark deals with Jesus’ humanity. Mark shows Jesus tired, weary and hungry. The Roman world and the new Christians needed to be reminded He was the Messiah. The Avatar, the highest form of God in humanity. In all probability, the Christians of that day expected the return of Christ any day. They no doubt saw no need for a record of his life, for they would all remember. However when He did not return quickly, it became obvious a whole new generation needed the facts to be recorded. It is certainly reasonable to assume that Mark knew all the early church leaders and populace. He was a relative of Barnabas and traveled with Barnabas and Paul on their one and only missionary journey together. Mark is also believed to be one of the few men who accompanied Simon Peter to Cornelius house in Acts chapter ten. So it was the first Gospel written of the four in your Bible. It is authored by Mark and dictated by Simon Peter and inspired by God himself! The Bible is the best selling book of all time. Therefore it is reasonable that the Bible is the most read book of all time. Statistics say that Matthew is the most read book of the Bible for almost everyone starts there! Now if you or I were going to write a book that we knew more people were going to read more than any other book in the history of the world, would we start it out with a long list of names that no one can even pronounce? Yet God in His wisdom does just that! Why? Well, one supposition is that He loved the Jewish nation and preferred them with the first Gospel in honor to His commitment to them through the centuries. One thing is for sure; Jesus was not the Messiah they were looking for! He did not fit the image of their expectations! There had been 400 years of silence! Then Matthew’s gospel pulls it all together. Matthew portrays Jesus as the King of the Jews. His gospel is considered as the most important book in Christendom by the French skeptic Renan! One of the great contributions of Matthew to oneness people is his information on the transfiguration. In chapter 16 Matthew begins the story of Jesus leaving the area of Galilee and going north to the regions of Caesarea Philippi. Jesus literally turns His back on the country of Israel and goes to a gentile region and spends about 8 days with His disciples. After 6 days of rest and relaxation, He poses the question to them, who do men say that I am? It is a supreme moment in Jesus’ earthly journey. For 3 1⁄2 years He has prepared this select group of men for this revelation. They offer the current scuttlebutt of names, and then Simon Peter makes the famous reply, “Thou art the Christ”. Jesus no doubt breathed a sigh of relief knowing they had truly got the concept of His being the messiah. Two days later is a remarkable event. I call this “When a good Jewish son took over the family business”. The event is called the mount of transfiguration. Jesus waits another 2 days and then takes Peter, James, and John with Him up on the mountain. Matthew, Mark, and Luke all inform us what happened there. Jesus is transfigured before them and Moses and Elijah appear with Jesus. The disciples are speechless, and stunned. Peter finally blurts out an inane babbling, something about three temples. These three disciples are witness to the transfer of all spiritual spokesman ship from the Father to the Son! A voice booms from the heavens and says, “This is my beloved son, in whom I am well pleased; hear ye him”. This same voice had spoken at the baptism of Jesus, but had not said, “Hear ye him”. At that moment, the eternal spirit of God proclaimed His residence forever to be in the man Christ Jesus. Christ’s earthly ministry was complete. The only thing left was to be the perfect sacrifice. Never since that moment has the voice of God ever spoken outside of Jesus Christ! The voice that spoke worlds into existence, the voice that spoke to Moses on Mt. Sinai, now speaks only through the mouth of Jesus Christ! He is God manifest in the flesh! Go to your Bible and look. God has never spoken again outside the mouth of Jesus Christ! What a wonderful revelation to the oneness of God. Truly in him dwelleth all the fullness of the Godhead bodily! Is there a zero point where you go from 1% happy to 1% unhappy? Is there a scale that tips ever so gently and you cross from satisfied to unsatisfied? Is there a continuum that you cross from content to contentious? It would appear there is some line of demarcation that must be crossed. It seems a bit far fetched to happy and unhappy at the same time. Can you be satisfied and unsatisfied simultaneously? To be content according to the New Testament greek, it means you raise a barrier. You keep things out. You guard yourself, especially your mind. You bring every thought into the obedience of Jesus Christ. You raise a barrier and say whatsoever things are pure, whatsoever things are good, a good report, etc. When we fail to do that, we cross over that indiscernible, unseen line to being contentious. In Corinth, Paul had contentious people who asked how long is long hair on a woman? These people had dropped a barrier. In the letter to the Romans, Paul equates contentious people with being disobedient (2.8). In three missionary journeys Paul had learned to be content. He had been opposed numerous times by contentious people. How did he survive their attacks? He raised a barrier. Proverbs informs us both men and women are prone to being contentious. Contentious people are easy to spot. They find fault. Their life is worse than anyone else’s. Their church just isn’t what it needs to be. Their pastor just needs to be more like Mr. Neighboring Pastor. The sermon is too long. The standards are too strict. Sitting next to them on the pew or maybe a few feet away is a new convert who is content! This is the best church I have ever been to! Our pastor is the best pastor in the whole world! Both in the same church, same pew. Same sermon, same choir, same nursery, same hostess, same ushers, same pastor, same music, same songs. I guess the difference is the distance from content to contentious. The distance from satisfied to unsatisfied. The distance from happy to unhappy. Luke was a doctor. The flavor of the man always comes out in his writings. In Luke we see more conversation about women, gentiles, and the social outcasts. When a beggar lays at the gate of the rich man, Luke says he was full of sores. Matthew would have said he was broke. Matthew’s perspective as a tax collector was his financial status, while Luke had the perspective of a doctor. Luke’s gospel is written to the Greek, or Gentile world. He uses Mark as his time line and repeats somewhere around 50% (320 of 661 verses), of the same material Mark provides. Because he is writing to the Gentile world he begins his genealogy at Adam. Matthew goes back to Abraham, Mark bypasses the genealogy, and Luke goes back to the first man Adam. John, who writes to the church, reaches back to the misty darkness of eternity. He was cold! He was way beyond the kind of temporary cold that gives you shivers. The cold he felt was way down in his bones, and had been there for weeks. He wished for the thousandth time for the cloak he left in Troas. Life would be easier when Timothy arrived with the books and parchments. Six feet away, across his cell was a large rat. They eyed each other with measured tolerance. He had long tired of trying to make the rat leave for good. The rat always came back. It was no longer worth the effort to accost the rat. He and the rat certainly weren’t friends, but they had learned to co-exist. He reached over and picked up his writing instrument and parchment. The voice inside him told him to write. So he dipped his quill in the borrowed ink, and began. As he formulated the words that were appearing in his mind, another part of his mind began to go back over the years….. He smiled as he remembered that day on the road. It seemed like just yesterday. Then there was the time in Arabia. The years began to unfold like a novel, like a slow motion reel. He drifted back through the years, the cities, the trials, the beatings, and the stonings. Once again he asked himself if he had done all his master had asked of him. He honestly could not see any way it could have turned out differently. The other part of his mind returned back to the parchment, and he began. For I am now ready to be offered, and the time of my departure is at hand. I have fought a good fight, I have finished my course. I have kept the faith. Henceforth there is laid up for me a crown of righteousness…. He finished the final words of his last letter. He was well aware he would never again pen another syllable. He heard the jingle of keys. Marcus came into view. Marcus was his most recent convert, albeit secretly. He said to Marcus,”It’s okay, I understand.” Tears began a slow roll down Marcus’ cheeks. He rose, straightened, and started for the door, and noticed the rat seemed to be smirking. The stairs seemed steeper than he remembered. The light of day was blinding. He had lost count of the days in the underground cell. Slowly he looked around. Spring had arrived, his last spring of his 67 years. He saw the executioner waiting. How far? Maybe a hundred steps? He started the final one hundred steps of his earthly journey. He drew up at the chopping block. With one long last look around the Appian Way, and a smile for Marcus tear stained face, he knelt and placed his head on the block. The Roman official placed a check next to his name on the slate and nodded to the ax man. In one slow movement, while heaven held it’s breath, the ax was raised. It paused for a fraction of a second, then in blinding speed arched downward. His head, severed from his body rolled over the edge of the block and dropped to the ground and rolled twice. Unseeing eyes on mortal earth stared upward. In the immeasurable moment when head and body were separated, his spirit was free. He was free of the hardships, free of the privation. He was free and approaching the gates. The gate was also about one hundred steps. He could see the crowds cheering. It was that great cloud of witnesses he had written about in his letter to the Hebrews. They were all there. Some were from the highlands of Galatia, others from the sea coasts of Macedonia. 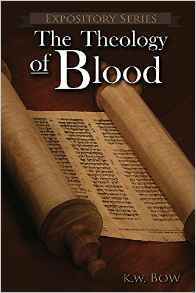 There were some from Caesars’ household, and some converted rulers of the synagogue. They were waiting, cheering, and welcoming him home. And then there was Jesus for the first time. So Paul, the Christian sage of the ages died. In the prison, Paul called himself “The prisoner of the Lord.” He knew that no mere, mortal Caesar could imprison an apostle without his master’s assent. Do you see your prison as approved by the master?